Windshield manufacturing starts by producing high-quality glass in liquid form. This glass is purified and tempered while floating in a tank full of molten metal. Eventually, two pieces of glass are stuck together around a flexible piece of plastic for safety. At this point, the windshield is placed in the car window and fitted with rubber or plastic molding. The approach to manufacturing windshields has changed drastically over the years. Originally, manufacturers used different tempering techniques with the goal of making the glass as strong as possible. This produced very strong glass, but sometimes the glass would break and produce large shards that could fly back and hit occupants, impaling them. New glass manufacturing techniques were eventually developed to avoid this problem. Experts came up with the idea of having flexible plastic between two glass sheets used for the window. They hoped that if both sheets were stuck to the flexing plastic, it would keep shards of glass from flying back when the windshield broke. Essentially, it served to make the windshield somewhat flexible instead of being brittle. Windshields can actually fold and bend when they shatter, which keeps people from being injured as easily. 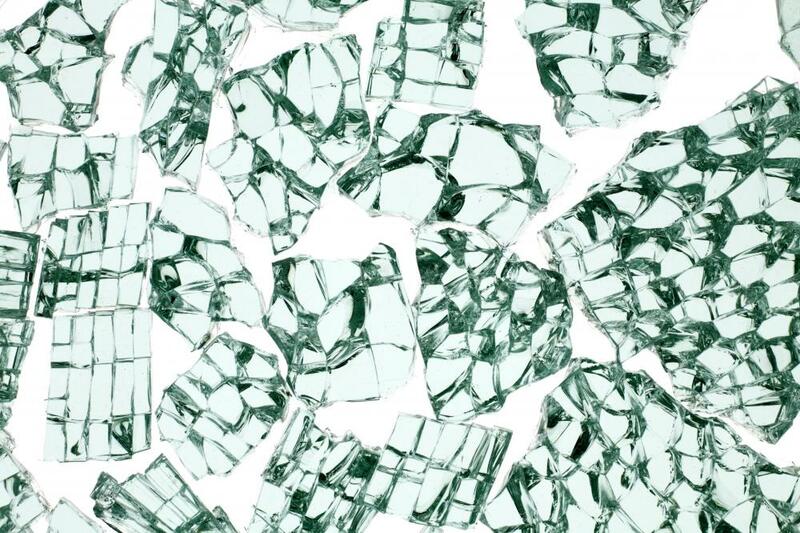 The connected pieces of glass also sometimes serve to protect occupants from external things flying into their cars. As the glass generally bends instead of breaking, even if something shatters the windshield, it will often bounce off harmlessly. There are some potential exceptions to this rule in cases when something hits the glass extremely hard. 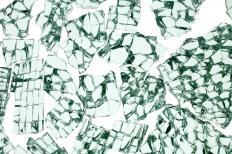 In cases when glass does fly back after a windshield shatters, it is usually very small. This is partly because of the plastic and partly because of changes to the way the glass is tempered. Tempering causes the molecules in an object to align in different ways. The older process was focused on making the glass hard, while the newer process leads to an alignment that produces smaller shards. Sometimes the plastic that is sandwiched between the two pieces of glass has other special properties. For example, the plastic may be specially tinted so it can block certain light waves and make it easier for drivers to see in the bright sun. Advancements in light shielding technology happen quite frequently, so the type of plastic used changes. There are also windshields made out of special bullet resistant materials for security purposes. What is Involved in Fixing a Windshield Crack? What is Involved in Repairing a Windshield Chip? What Should I Know About Auto Windshield Replacement? What are the Different Types of Windshield Glass? What Should I Know About Windshield Crack Repair?